Its up on ebay folks. Feel free to speculate on value, I've no idea. Obviously I would like high! If I may say, though, the presentation of the auction leaves a lot to be desired: the background kitchen clutter will not help sell it. Don't you have a sheet of paper you can photograph it against? Oh, wait, i geddit... the distant spatula was for size comparison. It's a new take on the banana. (Gotta' say though, that that is one AMAY-ZING donation, those things are totally unheard of outside of the industry. Well done Greatrix and Kevbags). And, good luck Kev & Fairy Bricks! ... but in the name of charity.... that title leaves a lot to be desired and you should change it to increase views. Right now you have very few key words. 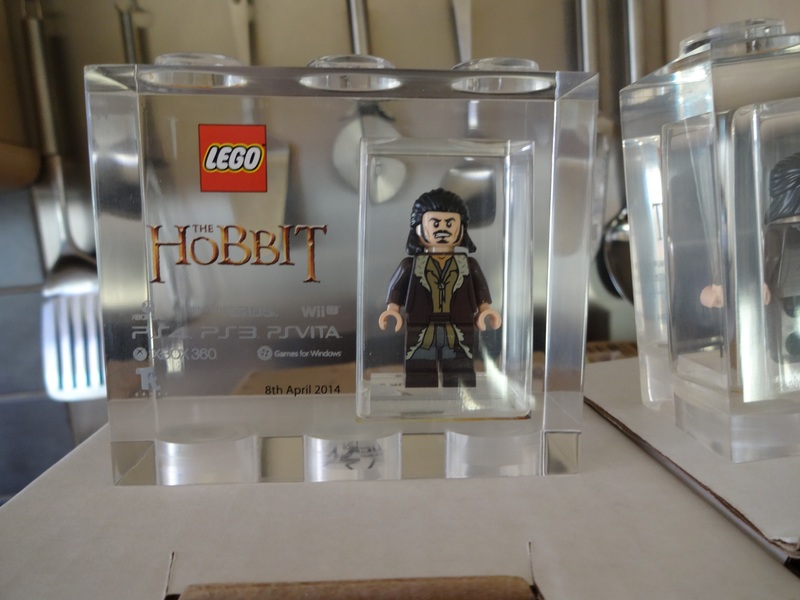 Perhaps something like: "LEGO The Hobbit Bard the Bowman TT games Exclusive Video Game Brick RARE". Also, @Huw‌ is right on those pictures... get a few more, and get a nice clean, white background. The spatula is a bit deterring if I do say so myself. Get rid of that second one in there... these things are rare. Having 2 in the first picture isn't going to show that considering how little people know about these things. They're less likely to believe it's rare if they see one and then half of another. I'd say don't put RARE in the title, these days i think more people filter out the word rare than search for it. I've shared this around facebook and twitter, seeing as I'm toi skint to bid, so hopefully that'll help at least a little. Want it but I am sure it will be out of my price range and I hope it is by some way too. It appears I can't change things now that bids have been received. @SirKevbags If you really are in possession of that awesome pile of TTbrickness, and have freedom to auction/raffle off as you choose, then PLEEEEEEEEASE consider holding a couple of them back for the next Fairy-Raffle, so that folks without oodles of dough have a slim chance of winning one (or two, or three). I must admit, I'm surprised by the high price this item is commanding. I am also somewhat concerned over a 0 feedback new bidder that is placing an abnormally large amount of bids on the item, it may be in your best interest to cancel it @SirKevbags‌ . I typically tolerate them, but certainly not on an item that is trending towards $1k. ^ worth pointing out the seller is (0) feedback also... That's fine for us on here but to an outside party they might wonder how genuine the seller is with such a rare item?? I'm pretty sure the current price will be toppled and the zero feedback bidder will be a distant memory but it's a bridge @SirKevbags‌ will cross when he comes to it I'm sure. It's feels just like Yesterday I was winning the auction with my, what appears now as a meager, bid of £101.01 . But in the end, I'm glad it's more than I can afford since it's going to a great cause! good luck with the rest of the auction Kev. It's on Gizmodo now, hence the big jump in price today. It's feels just like Yesterday I was winning the auction with my, what appears now as a meager, bid of £101.01 . And to think I nearly placed the opening bid but was fearful of being out £50 and getting lumbered with it! Really nice cause but I had to tap out midway through the bidding :) Good luck to the bidders still involved, it will definitely be a well earned reward. Auction seems to be going really well. At least it seems as though I didn't vastly over pay when I acquired mine last year. Woohooo, it's topped $1000/£620 !! Is there just this one available? Seems pretty expensive! @TarDomo‌ - did you read the description, these are usually only given to employees at TT games, it's a very rare and unique item. Plus as it's an auction the price is being set by the buyers not the seller. @Shib yes I got that this is VERY rare but I was still thinking if there may be another avaiblable somewhere but it seems there is not and maybe won't be. And I understood that the price was a result from the current bid. I meant it is expensive to get it, not that seller wants too much of money. Nice work Kev, $1200AUD is a decent price. gone with 692£. 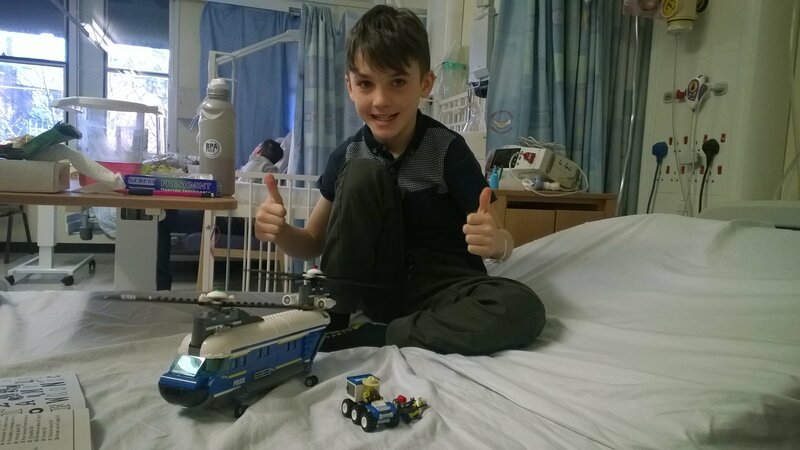 Kids are gonna get a lot of Legos to hospital that is nice. I had no idea what it would be so I'm obviously thrilled. Credit needs to go to Carl and the management at TT for securing and then letting us auction it. I know they have followed it closely and have enjoyed it so fingers crossed that there could be other bricks to come. ^ That is a great sum. Excellent job. Well done Carl, Kev, and the TT people. 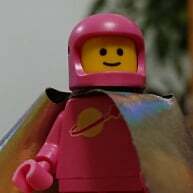 @legomatt‌ We needed to establish an open market value for one of these and that has been done now. It's possible a raffle could have generated a similar amount, it could have exceeded it BUT it is also a lot more work to manage. Again it's possible for the future if we are lucky enough to secure more bricks and a decision on that will be made as and when the opportunity comes up. ^ @SirKevbags Oh yes, I totally agree. Didn't mean to sound like i was challenging the auction - far from it. Auction was a must. Market values to be established, and all that. (My last post was written more in jest, as a follow up to my earlier one, than any serious next-step type suggestion; i'm not even sure a raffle would match this, £700 a high benchmark for anything to follow). Me and Mrs Wobblehead dropped off the Lego sets bought from the proceeds of the sale of the hobbit fig last Thursday. It was an absolute pleasure to meet the brilliant staff @ Claire house children's hospice. Also, nice one for TT games for donating the figure in the first place. Congratulations on your successful fundraiser with the Hobbit brick. The Fairy Bricks stickers on each box are a nice touch, too. I really like those. ^^ Great you got sets from different themes and with different sizes. 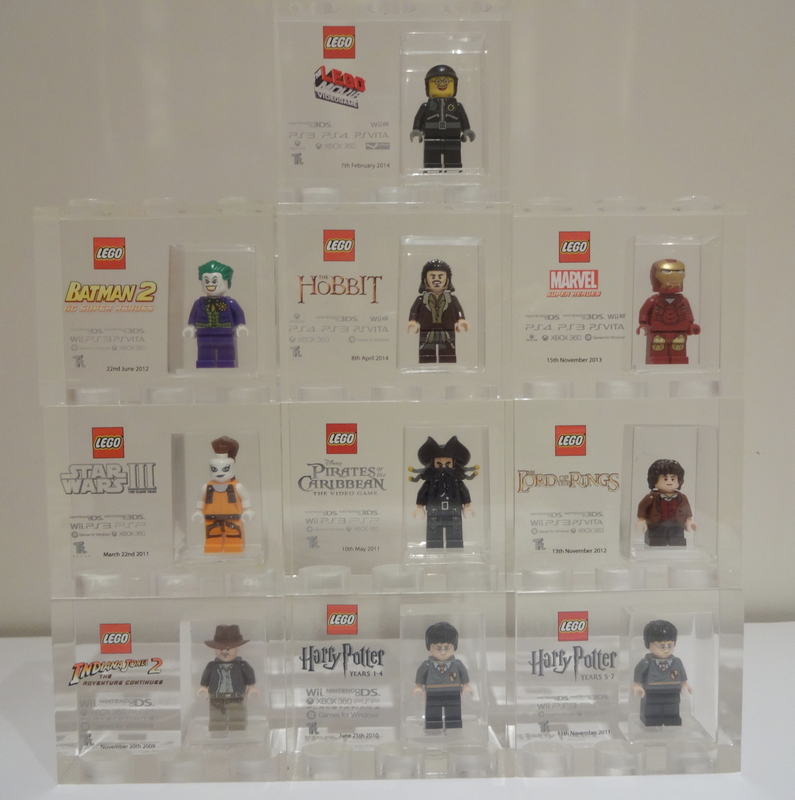 The one who bought the Hobbit brick must be happy and proud of himself. @TarDomo‌, we were merely the couriers as we live down the road from the hospice. @SirKevbags‌ should have all the credit for organising it all. @pricey73 Yes of course. Great job. But also the one who bought the brick did great charity. 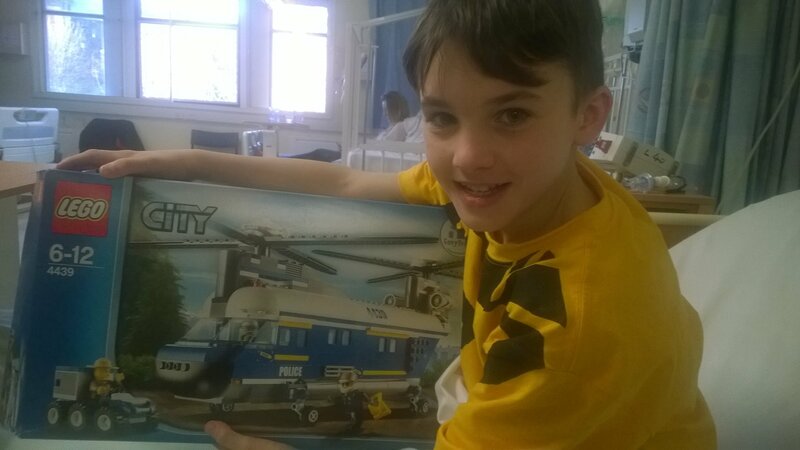 Anyway the most important was that the kids in the hospital got those legos. 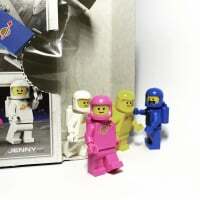 I couldn't find a general Fairy bricks thread, so thought I'd ask here: do you have and if so why don't you display pictures of children actually enjoying the lego? All the pictures I see here and on the website are somewhat "sterile": brand new boxes carefully stacked around posing people. It looks odd and insufficient as the charity's aim is to deliver the joy to children through playing with lego, but there is no evidence of joy of playing taking place in those photos. This is not a criticism just seems odd hence the question why, as normally charities display pictures of their aim being achieved (food aid - children eating, medicine supply - people receiving care, and so on). They do that for obvious reason as people like to see results of their actions (i.e. results of their giving), and so it encourages further contribution. More than happy to answer that question and it's a very fair one. I can only speak for the UK but taking pictures of children is very difficult. If you ever see donation ones without children it's because parents have been unwilling to offer consent for their children to be part of them on donation day. Or parents do consent and children don't want to be involved. We would love to see more pictures of the sets in action, we do request them and some have arrived but with instructions that they are not to be published. I agree it's a shame and it's an issue that could probably be pushed harder and those shots may increase revenue but it's also something else for the massively over worked play teams to have to do and quite honestly it would end up so far down their priority list it would never happen. Thanks Kev that makes sense. I can only speak for the UK but taking pictures of children is very difficult. I think you can speak for the US as well.... where they absolutely don't allow the kids to be photographed. Its kind of ironic, when they turn 16 they will probably have been plastering their face all over twitters equivalent at the time for the last 4 years. Don't try to take a picture of your kid playing football for the school team though, other parents go mental at that. ^ I actually had someone complain about me taking pictures of my friends at an ice rink because they thought I might be taking pictures of children. The staff were great, just asked me to sign a paper saying I wasn't and agreed the parent who complained was being overly protective. I could have understood if it was a swimming pool or the beach, but at an ice rink where people are wrapped up in layers just seemed ridiculous.